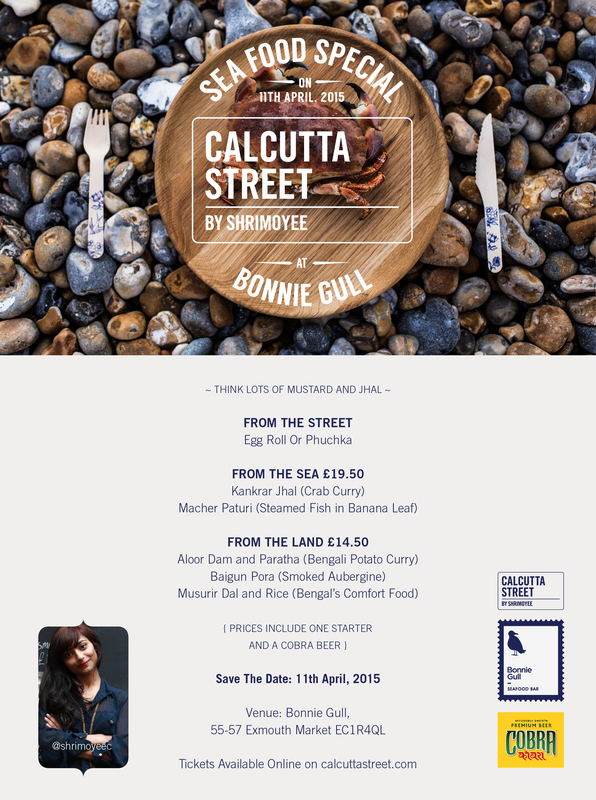 I am extremely excited to let you know that, at my second Calcutta Street Pop Up I aim to make some of the famous, mouth-watering seafood and fish dishes from Calcutta. These recipes are all extremely special because it comes from my mother’s kitchen and I have grown up on them. I will be cooking with Luke Robinson, Head Chef at Bonnie Gull and Cobra Beer is the official Partner. Bonnie Gull Seafood Bar is an ode to the faded glory of British seaside towns. Rose-tinted memories of golden days by the sea: Pleasure beaches, fresh crab rolls on the pier, Mods & Rockers hurling deckchairs, whippy ice creams and jukeboxes full of sweet Northern Soul…And I am going to take these fresh crabs and give it a Bengali flavour. I also made a trip to Brighton to get the real seafood feel and obviously to shoot some lovely images! Hope to see some of you at the Pop Up on 11th April!